You guys! 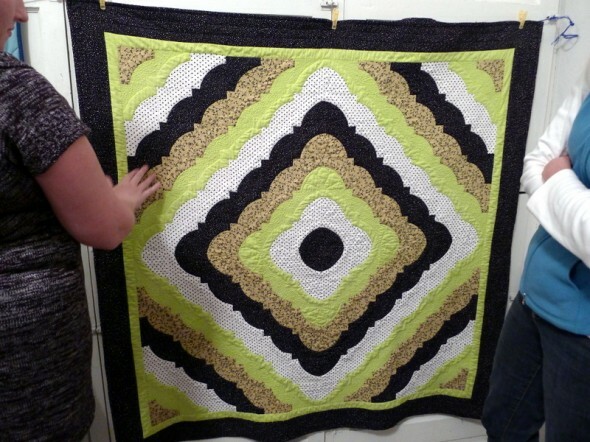 I’m so excited about this, there is now a Jersey Shore Modern Quilt Guild. I’ve been driving all over the universe for the past few years trying to get involved with the Philly chapter (unsuccessfully, I haven’t been to a meeting in 2 years) and the NYC chapter (successfully). And now there’s one near my house. The first meeting was last Wednesday, and I was so thrilled to be able to go. I met some great ladies there, saw some beautiful quilts, even won a door prize. That’s Diane on the left, she started the group. And Shannon on the right had lots of tips and info. 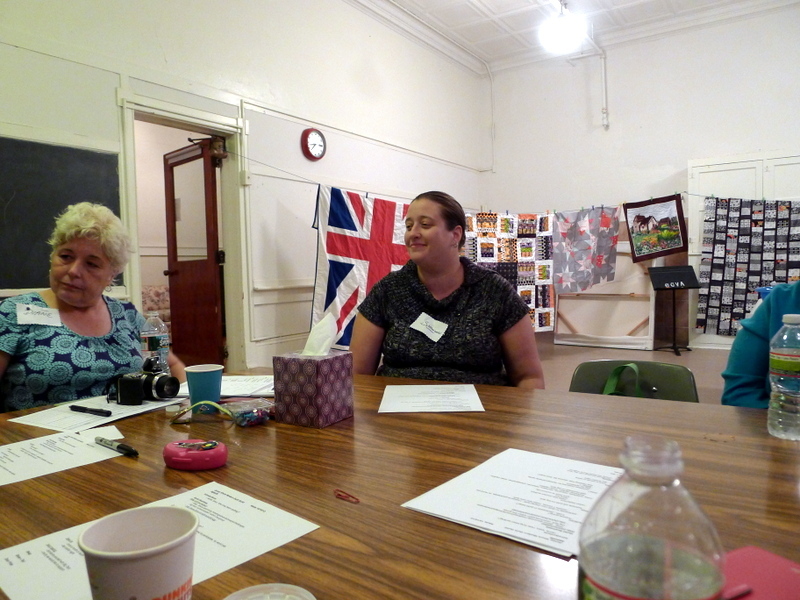 All the ladies were great, and I love the meeting space–it’s in the Jersey Shore Arts Center. 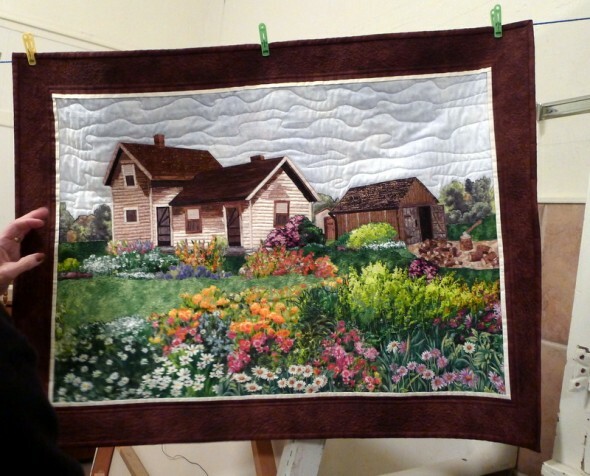 If there are any other Jersey Shore quilters interested in this group, here’s the blog. I really think it’s going to be a great one. Can you spot the British Quilt and H’s Halloween Quilt behind Shannon? 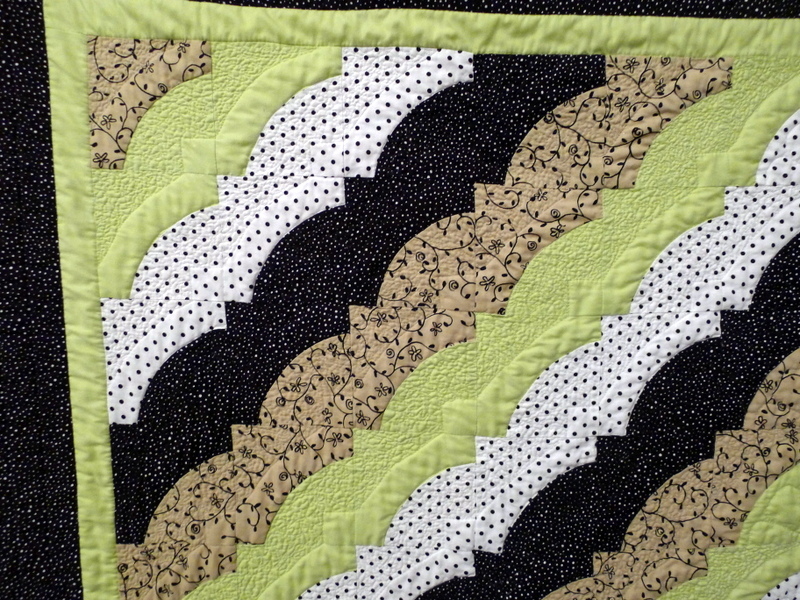 Her wonky stars are next to mine, in Aneela Hoey fabrics. Knew I liked her. This was Diane’s quilt, I love it. Look at the detail! 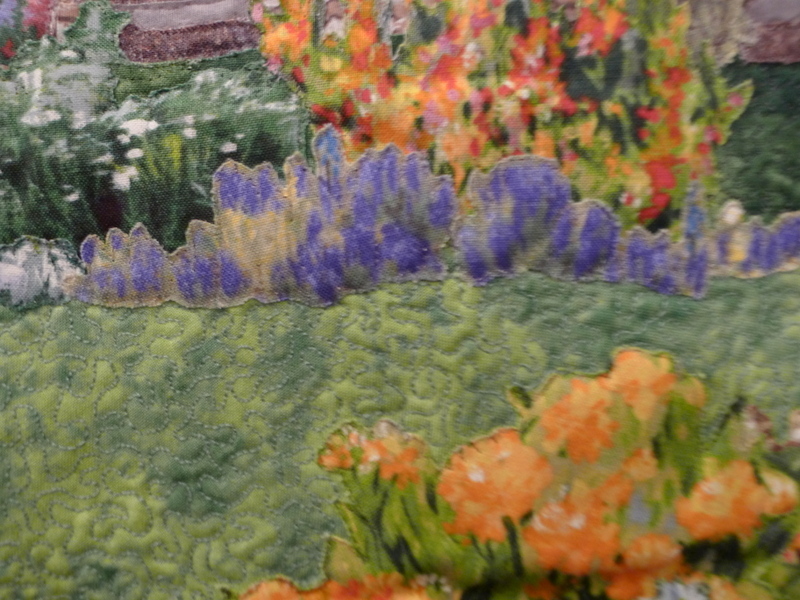 All the texture is just where she chose to quilt, there are no stitch lines delineating those sections. I do not have that kind of patience. This was Carolyn’s, a young quilter who’s done several projects for magazines. She always works with prints but decided to try something with solids. I can relate to this. 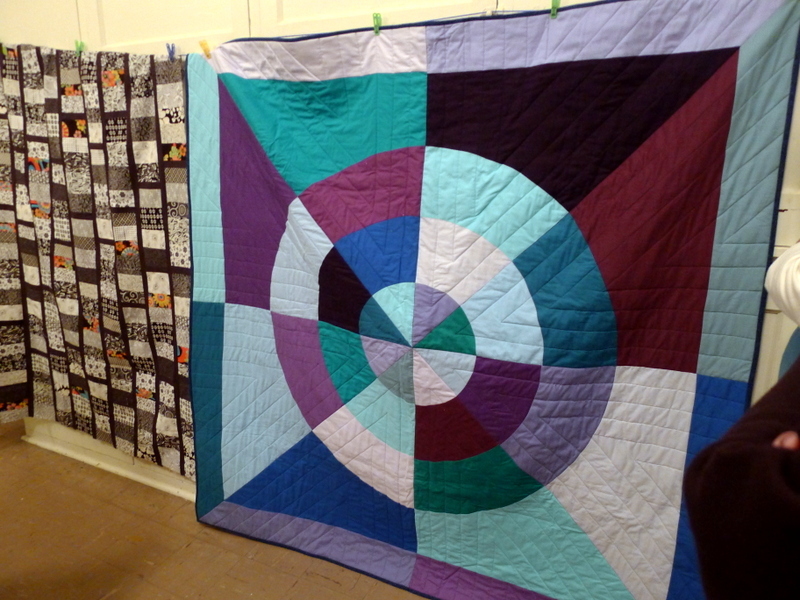 The one next to it is her mother Cindy’s, and it’s her first ever quilt top. Love it. This is Bonnie’s. It’s actually pieced, not a panel. It’s all applique, craziness. It’s from an old photo of her grandparents’ house. And I loved this one from Rachel (that’s Bonnie holding it up). I love the white space, the mix of print and solid, the punch of red. This one is just so great. It was a great meeting, and I’m really excited about this group. Looking forward to our next meeting in November, I need to get started on some potholders for the challenge.